UPDATE: The San Jose Mercury News has a great write up on one Harker’s 30 Under 30 listees! Surbhi Sarna was interviewed on her medical devices development. Read the article, here! Several Harker alumni made Forbes magazine’s coveted “30 Under 30” lists, which showcase young movers and shakers working in various fields. 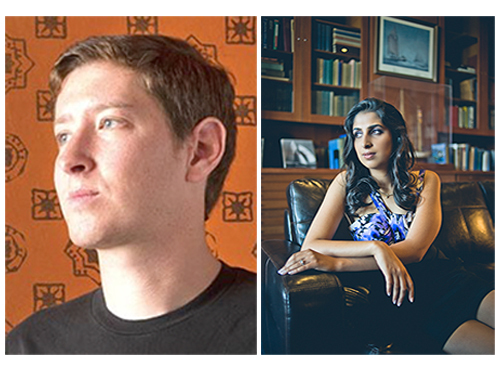 Sharing the spotlight with notable young celebrities such as snowboarder Shaun White, actress Olivia Wilde and activist Shiza Shahid are three talented Harker grads: Neil Mehta ’02, Surbhi Sarna ’03 and Ilya Sukhar ’03. The third-annual issue was released Jan. 6. To compile the prestigious lists, Forbes consulted with experts in 15 industries to select the top 30 in each category, totaling some 450 individuals (all under 30 years of age) who are making things happen. The magazine started working on the project in the fall, by choosing the categories and assembling the panel of judges. Neil Mehta ’02 is the managing director of Greenoaks Capital Management LLC, a global principal investment firm dealing in private equity, venture capital, real estate and public market opportunities. Prior to that, 29-year-old Mehta was a senior investment professional at Orient Property Group Ltd., a Hong Kong-based real estate investment and development firm financed by D.E. Shaw, a premier $20 billion global hedge fund and investment firm based in New York. Forbes listed Mehta in its finance category, crediting him with managing some $600 million, investing in industries ranging from ecommerce to insurance. The magazine also noted that he “hit home runs” with early investments in a Palo Alto-based software company called Palentir as well as a South Korea-based e-commerce company named Coupang. “I owe a lot to my colleagues, friends and family. We still have long way to go at Greenoaks, though,” said Mehta, adding that he was proud and impressed to see so many Harker alumni on the list. Surbhi Sarna ’03 was this year’s alumni speaker at Harker’s eighth annual Research Symposium, which drew more than 400 attendees. There, she shared the story of how she suffered from painful ovarian cysts in her early teens, which caused her to later become determined to create better conditions in the field of female health. To this end, the 28-year-old founded the venture-backed nVision Medical in 2009 to develop technology to help gynecologists more quickly detect ovarian cancer. To date, her company has raised some $4.5 million from Catalyst Health Ventures, Draper Associates and Astia, a group that assists female entrepreneurs. “It is a great honor to be chosen as one of Forbes “30 Under 30.” I know Harker has a lot do to with my drive to be an entrepreneur and I’m grateful for all of the teachers that inspired me while I was there,” she said of her placement in the medical category. Ilya Sukhar ’03 made the news several months ago when Facebook acquired his company, Parse, of which he served as co-founder and CEO. Currently, Sukhar runs the Parse business at Facebook, where he also works on platform products. Sukhar, who is listed in the tech category, said he got the idea for Parse after he experienced the pains of building a mobile app. According to Forbes, he has since turned Parse into a critical service for mobile developers that now provides the backend infrastructure for more than 180,000 apps, including those built by Ferrari, The Food Network and Sesame Street. Facebook bought Parse in April 2013 in a deal reportedly valued at $85 million. To read more about Sukhar and his work, see http://skylark.harker.org/hno/backups/entrepreneurial-alumni-forge-their-own-career-paths/ where he is featured in a previous HNO story. To view the Forbes “30 Under 30” lists, see http://www.forbes.com/lists/.